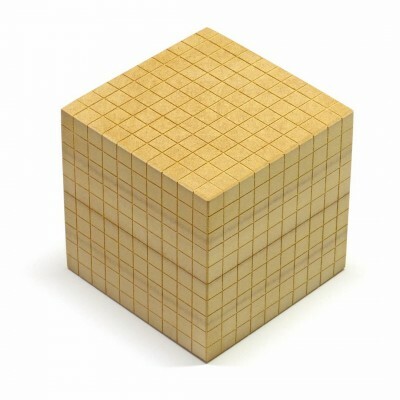 The 'Cube', or 'Block', is Base Ten's largest component. It is a 10cm cube, and represents 1000. It is the equivalent in volume of 10 Flats, 100 Longs or 1000 Shorts.